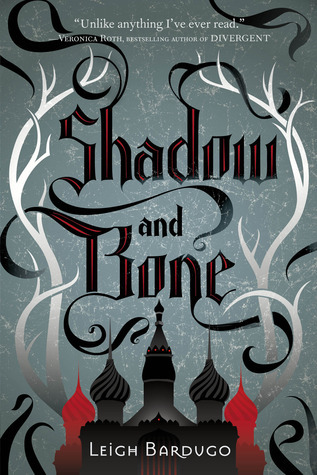 Dare I say that this final book in The Grisha trilogy was exactly what I wanted? 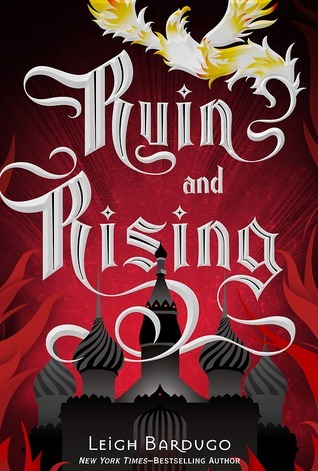 In my eyes, Ruin and Rising, by Leigh Bardugo, had it all: light and darkness, love and hate, power and peasants, life and death, a winning side and a losing side. I'm surprised that I'm this happy with the ending but I can't imagine this series ending any other way. Alina was badly injured in the end of the second book and she was taken underground by the Apparat with her faithful followers, the Soldat Sol. While healing, her true friends concoct a diversion to replace the Apparat's power with Alina's and, in succeeding, they escape the White Cathedral. As Alina struggles to use her power in the darkness of the underground, readers will re-solidify their bond with her. Through this and the journey to find the firebird, Alina realizes that she has to be able to trust and rely on those around her. With this lesson learned, readers will be able to feel that Alina isn't holding back anymore. She's in this war one hundred percent and will walk into battle knowing that she helped everyone she could. The plot of this installment was almost unbelievable in its amazement. After escaping the White Cathedral, Alina and Mal (along with their invaluable team) set off to find Nikolai, who is rumored to have escaped the Little Palace in the attack. With success, they are carted off to the mountains and hidden atop peaks where they can prepare to track the firebird, the believed third amplifier for Alina. When the Darkling attacks the mountain, Alina and Mal barely make it out alive and there are many casualties. Then the hunt for the firebird begins as the Darkling prepares to widen the Shadow Fold. With a time limit and the lives of the world in her hands, Alina must face down the Darkling once and for all. And this time, there's no running away. As the series closes, I know I'm going to miss it. From the first prologue this series has enthralled me. Through the discovery of Alina's power, to the revelation about the Darkling's real goal, into the love story between Alina and Mal, and across the world on constant journeys to find the next necessity: it seems to have been more than a lifetime. 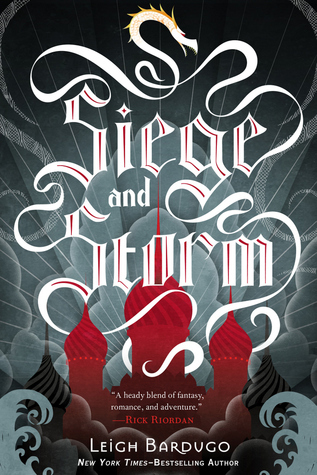 The Grisha series is one that echoes, calling to its readers as it reverberates through time. I know one day I'll see the series on my bookshelf and feel the need to re-read it. And it will be just as magnificent as it was the first time through.